After 5 years losses how do you, as the “new guy”, come in and rally the team for another shot at change? Steve Polaski is a manufacturing executive who recently completed the successful 4 year transformation of a business unit in Thailand that had suffered 5 years of losses. 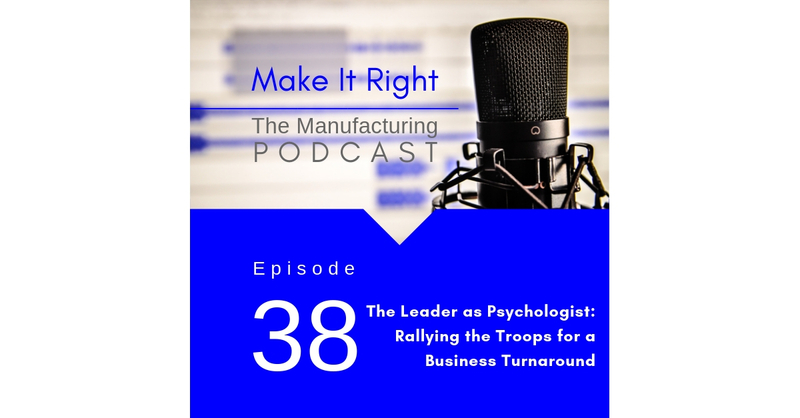 He shares his strategies on how he turned around his battered team, regained the trust of customers and achieved profitability. Promo Episode 39: R U Ready for AI?